For this new edition I wrote a (gently) revised Conclusion, a new Preface (with some additional acknowledgments—see below) and a new 22,000-word chapter using the hybrid media system approach to analyze the extraordinary 2016 U.S. presidential campaign and the rise of Donald Trump. 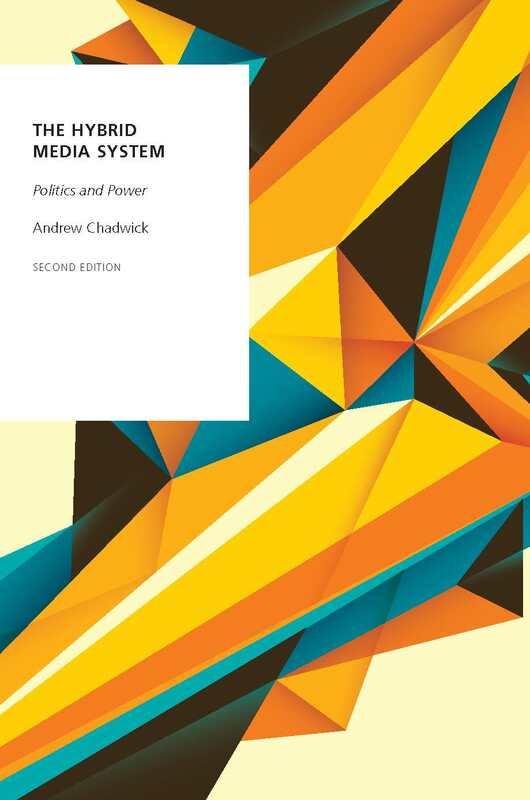 The new chapter (10) shows how Donald Trump’s rise and Hillary Clinton’s downfall was enabled by key aspects of the hybrid media system. The chapter deciphers the main components of Trump’s digital campaign, in particular its shift toward an intensive Facebook advertising strategy and its use of targeted advertising to try to reduce turnout among potential Democrat voters. It shows how Trump was able to translate his celebrity capital into political capital through the use of social media, particularly Twitter, to influence press and television coverage. The chapter also sets out three fields of dysfunctional hybridity, in which a confluence of older and newer media logics came to threaten democratic norms: the rise of “fake news,” automated bot (software robot) activity during the televised debates, and the role of politically-motivated hacking and a newly resurgent—and increasingly belligerent—WikiLeaks. On a more optimistic note, chapter 10 also discusses how hybrid media played a decisive role in the Women’s March, the biggest single-day protest in US history. I show how the march, when integrated with the actions of professional fact-checking journalists, became an important part of the January 2017 counter-inauguration that subverted Trump’s ability to set the agenda during his first week in office. Details and how to order. I would like to restate my thanks to Angela Chnapko and the team at Oxford University Press in New York, and the colleagues who have supported this project since it began. Many of these are listed in the Acknowledgments section that follows this Preface, but as this second edition goes to press I would also like to add to that list by thanking the following people: Mike Ananny, Catie Snow Bailard, Matt Carlson, Simon Collister, Geoffrey Baym, Shelley Boulianne, Diego Ceccobelli, Elizabeth Dubois, Caitlin Evans, Jason Gainous, Homero Gil de Zúñiga, David Hendy, Bente Kalsnes, Regina G. Lawrence, Pedro Magalhães, Jörg Matthes, Gianpietro Mazzoleni, Declan McDowell-Naylor, Philip M. Napoli, Taberez Ahmed Neyazi, Kaarle Nordenstreng, Matthew Powers, Karen Sanders, Thomas Schillemans, Amy P. Smith, Kari Steen-Johnsen, Tomás Baviera Puig, Jennifer Stromer-Galley, Dhavan V. Shah, Jonathan Sullivan, Sidney Tarrow, Terri L. Towner, Augusto Valeriani, Ellen Watts, Chris Wells, and Danna Young.